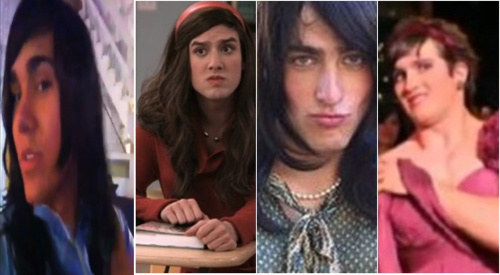 Meet the girls of Big Time Rush!. May I introduce anda Carlissa, Hortense, Kendalla and Jamie?. Wallpaper and background images in the big time rush club tagged: big time rush girls funny carlos pena logan henderson kendall schmidt james maslow. This big time rush fan art might contain tanda, poster, teks, papan tulis, potret, headshot, and closeup.